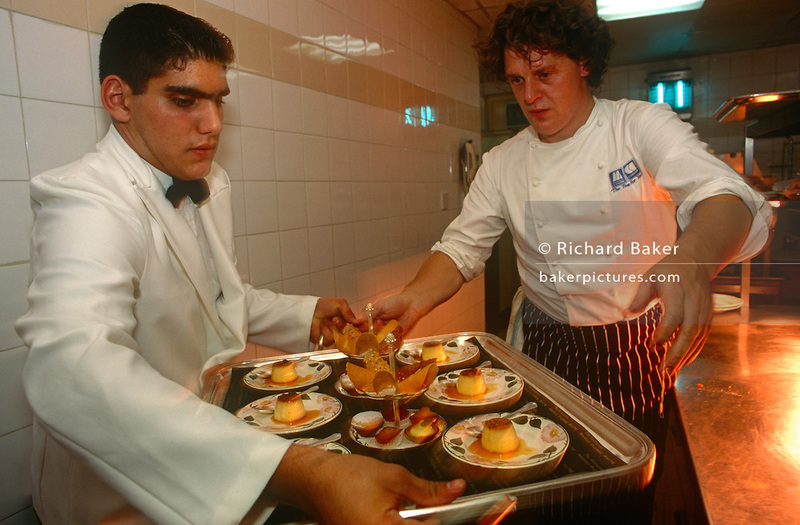 The chef Marco Pierre-White works in the kitchens of the Hyde Park Hotel. Marco Pierre White (born 11 December 1961) is a British celebrity chef, restaurateur and television personality. He is noted for his contributions to contemporary international cuisine and his exceptional culinary skills. White has been dubbed the first celebrity chef enfant terrible[of the UK restaurant scene and the Godfather[of modern cooking. White was, at the time, the youngest chef ever to have been awarded three Michelin stars.